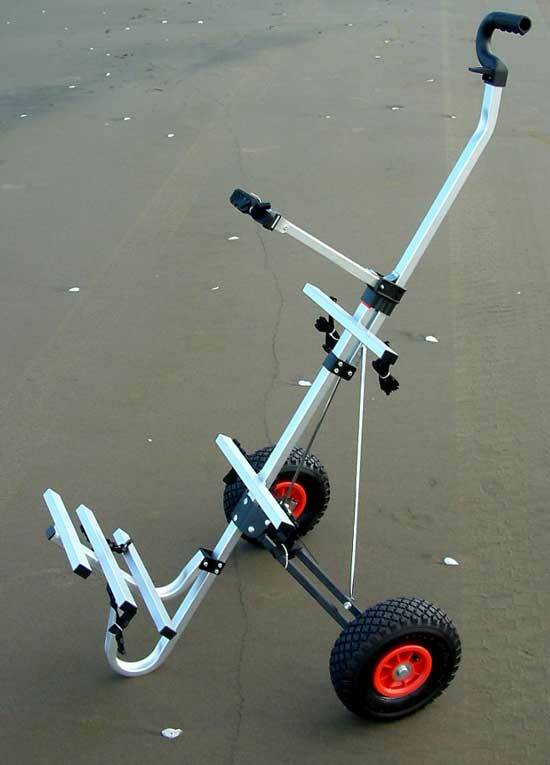 Our folding beach fishing carts are ideal for carrying all your kite and kontiki fishing gear. You will easily fit your kite reel, handspool, trace rack, kite case and chilly bin on the aluminum cart. Our beach utility cart is also ideal for carrying any surf fishing gear, fishing rods and tackle with plenty of room left for a chilly bin, beach chairs, or knapsack. The surf fishing carts aluminium construction makes them ideal saltwater fishing carts while the folding design allows the cart to collapse for easy storage in the car boot. Pnuematic tyres give good support on sand. 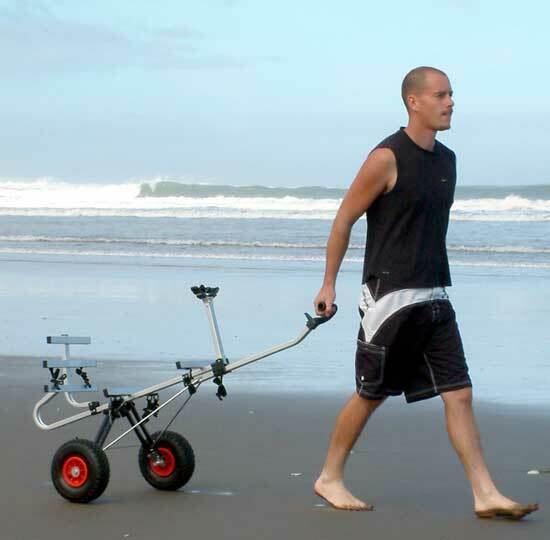 The beach carts are ideal for carrying all your kite or kontiki gear down the beach with ease. A motorised torpedo or kontiki will easily fit. The fishing carts are fully collapsible in seconds for portability and they will carry loads of up to 30kg. The pneumatic tyres make travel through sand a breeze. These fishing carts are only available direct from Paul's Fishing Kites. 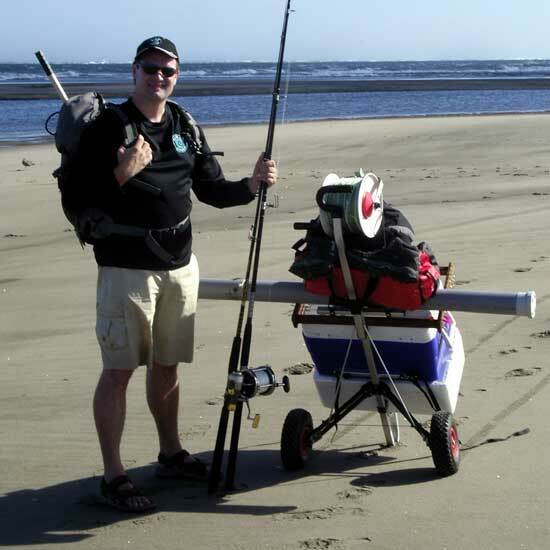 Fishing guide Neill Sperath uses the high load capacity of Pauls fishing carts to help carry two chilly (cooler) bins and three kite fishing rigs plus all the different tackle required by his clients to his secret fishing spots. The pic below was taken at Whatipu Beach where there is no access for four wheel drive vehicles. A Paul's beach cart provides a practical solution.